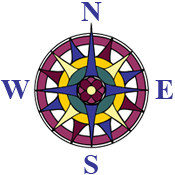 Compass is home to the Alpha Rho (AP) chapter of Eta Sigma Alpha (HSA), the National Homeschool Honor Society. Alpha Rho is one of over 300 chapters of HSA throughout the nation. For many, HSA will provide a noteworthy extracurricular activity and credential on future college or scholarship applications. HSA is a student-run organization with two adult sponsors. The Alpha Rho is open to all qualified homeschooled students in the area, whether they take Compass classes or not. Students may apply for membership as early as June 1 at the end of their 6th grade year in preparation for membership starting in the fall of their 7th grade year. Consistent with area placement cut-offs, a student must be minimum age 12 by September 30 of the membership year to be considered an eligible 7th grade student. Seniors in high school must apply no later than September 30 of their final school year in order to benefit from a year in the Alpha Rho chapter. An applicant’s grade will be based on the age-grade placement if the student were enrolled in traditional school without grade skipping. Accelerated coursework, achievement, or aptitude testing may not be used to admit younger students. Students must be in good standing as homeschoolers with their county superintendent’s office as required by their state’s law. Students must be in good standing under the Home Instruction Statute (§22.1-254.1) of the Commonwealth of Virginia including Options i through iv of home instruction, the approved tutor provision, or religious exemption. State of Maryland or Washington DC resident students must be in good standing under the home education statutes of their state/district. Students who attend a full time virtual academy or receive at-home instruction under the direction of or funded by a public, private, or charter school operating outside of the Home Instruction Statute shall not be eligible. Why are test scores required? As a requirement of the national office of Eta Sigma Alpha, achievement test scores are used to establish a measure of academic success for membership since GPAs among homeschoolers are not standardized. We administer the CAT/Stanford/ITBS at home. Can we use this score? The national office of Eta Sigma Alpha stipulates that tests used for qualification for the organization must be done in a group or proctored setting by someone other than the student’s own parent. We give the online CAT/Stanford, etc. test which is technically administered by a testing service. Online tests must also be overseen by an in-person adult that is not the student’s own parent. Online administration by a remote testing service cannot be counted as being proctored. Furthermore, the test administrator must ensure that the student does not have inappropriate access to other online resources (such as search engines, online encyclopedias, calculators) while taking an online version of an approved test. My child took the CAT/Stanford/ITBS the year before last. Can we use that score? Test scores submitted to the Alpha Rho chapter may not be more than one year old at the time of application. My child took the OTHER achievement test (insert names of dozens of “other” nationally normed tests). Can we use that score to apply for membership to Alpha Rho? At this time, only the test scores enumerated above are recognized by the national office of Eta Sigma Alpha. My child took an IQ or aptitude test. Can we use that score to apply for membership in Alpha Rho? My child was in school last year and took SOLs. Can we use that score to apply for membership in Alpha Rho? My child was in school last year and has a high grade point average (GPA). Can he/she qualify for Alpha Rho membership with that? A GPA, whether calculated at home for homeschooled students, or earned at a school, canoe be used for qualification for Alpha Rho. How will my child benefit from membership in Alpha Rho? Membership in Alpha Rho gives homeschooled teens a forum to network with other, academically-minded students. Students perform service projects and participate in social events. A speaker is scheduled during most monthly meetings to deliver interesting presentations on academic, professional, or development topics. Membership in an honor society provides a valuable credential on applications to college, for scholarships, and for other organizations. Who leads the chapter and decides on activities? Alpha Rho is a student-lead organization where teens can develop leadership skills. Members hold the officers of President, Vice President of Programs, Vice President of Communication, Secretary, Treasurer, Service Project Chair, Social Chair, and Fundraising Chair. Decisions on activities are selected by the member majority at monthly meetings. The chapter has two adult advisors. What are some example activities the chapter has participated in? During the chapter’s first year, 2017-2018, the group had speakers on: personal essay writing, running an effective meeting, personal safety, logical thinking, and a discussion on the space race by a CIA historian. Service projects included collecting canned goods and cash donations for a local food bank, making and delivering more than 160 Valentines cards to a low income nursing home, baking muffins and cookies for a week-long homeless shelter, organizing clothing and personal items collected for the homeless, pulling invasive species weeds at a local park, and planting native trees and plants at a nature preserve. Social events included a laser tag outing, an afternoon of bowling, a game/pizza day, and a year-end dinner meeting. The chapter undertook a raffle of gift baskets and two pizza sales as fundraisers. When does Alpha Rho meet? Alpha Rho meets on the second Friday afternoon of each month from 3:00 pm – 4:15 pm at Compass from September through May. Service projects, social events, and fundraisers are scheduled outside of regular meetings, but are often in a similar Friday afternoon time slot. What is the Alpha Rho calendar? The membership year will run from September 1 through August 31 each year. How will families know what is scheduled for Alpha Rho? Alpha Rho maintains a secure online website with its meeting schedule. Members and their parents have access to the website to read about the details of upcoming events, to RSVP, to access documents and archives, and to see chapter photos. The chapter also uses e-mail and issues a written agenda before each meeting. What is required for participation and attendance? Members are expected to attend all monthly chapter meetings, participate in at least two chapter-organized service projects, and participate in at least one chapter-organized fundraising project. Participation in social activities is encouraged but not required. My child cannot make it to all Friday meetings and activities because we are busy/we travel/he has a full schedule. Participation by members is key to having a vibrant, successful student organization. Alpha Rho has a “three strikes and you’re out policy” in which members will be dismissed after three absences in a school year. My child does not attend classes at Compass now. Can he/she participate in Alpha Rho? Yes, Provided all other eligibility requirements are met, membership in the Alpha Rho is not limited to students of Compass Homeschool Enrichment. At-large homeschool students from the Metro DC and northern Virginia areas are welcome to apply for membership, although slightly different chapter dues will apply to non-Compass students. What are the chapter dues? Chapter dues are $20.00 per Compass student per year, or $30.00 per non-Compass student per year. A Compass student shall be defined as one who is enrolled in one or more classes at Compass Homeschool Enrichment during the membership year. The additional $10.00 surcharge for non-Compass students is non-refundable for the current year even if a student later elects to enroll in a Compass class. Chapter dues are intended to cover the chapter’s annual registration fee to the national organization, cover the costs of basic office supplies, routine project materials, refreshments, induction celebration, year-end recognitions, and/or token speaker gifts. Are there other costs to participating? There may be entrance or admission fees to social activities that members plan, such as fees for laser tag, admission to bowling, etc. In addition, members may be asked to contribute items for collections or fundraising efforts. Why are fundraisers held if we paid dues? Student members may choose to supplement chapter dues by organizing fundraising activities for special programs, seminars, outings, charitable donations, and/or establishing and funding awards, prizes, or scholarships at their discretion.